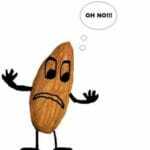 Cornucopia’s Take: Since 2007 the USDA mandate for pasteurized raw almonds has meant that California-grown raw almonds are no longer truly raw. They must be treated with a toxic fumigant classified as a possible carcinogen (propylene oxide) or heated with steam. Newly introduced radio frequency technology may be a game-changer for growers and consumers. California’s 2016 almond crop forecast to yield 2 bil’ lbs. 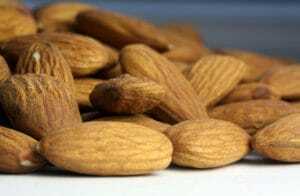 The Almond Board of California (ABC) has approved a non-roasting bulk pasteurization process for raw almonds at Sran Family Orchards, a producer of organic and conventional almonds in Kerman, Calif. The ABC’s Technical Expert Review Panel (TERP) has certified RF Biocidics’ APEX 85 chemical-free, pasteurization system that uses radio frequency technology to significantly reduce the level of harmful pathogens in raw almonds. California is the world’s largest producer of almonds with this year’s crop forecasted to surpass two billion pounds for the first time since 2013. U.S. almond consumption has spiked 33 percent in the past five years. Almond pasteurization is required by law in North America after two outbreaks of salmonella bacteria poisoning that were traced to almonds in 2001 and 2004.